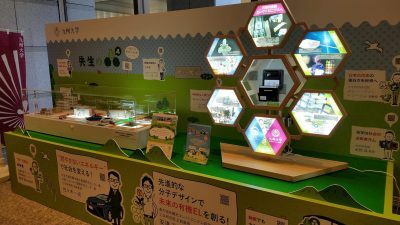 Nano tech 2019 is an international conference and exhibition focused on nanotechnology, taking place in Tokyo, Japan on January 30th – February 1st. Kyulux will be exhibiting in a booth called “Organization for Promotion Academic City by Kyushu University” together with OPERA, ISIT, AiRIMaQ, OPACK and i3-OPERA. The booth will be located in East 5, nano tech National Research Institute / Public Organization / University zone. (click for layout map of the event). 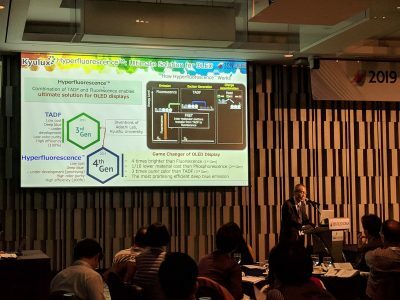 Kyulux’s Manager of President Office, Hidetoshi Fujimura, will give a talk titled “HyperfluorescenceTM, a game changing technology creates the future of OLEDs” as part of the Seed&Needs seminar B on Wednesday, January 30th from 11:25-12:10 at East Hall 6. 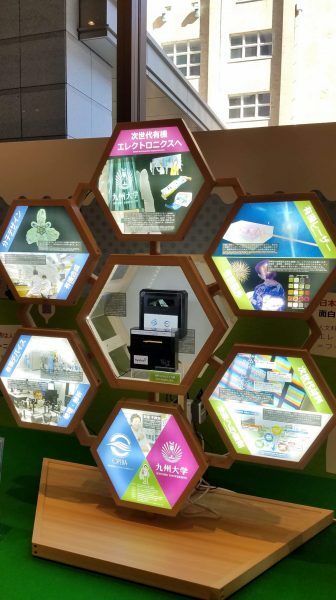 Kyulux’s CEO, Junji Adachi, will attend the “First German-Japanese Nanotechnology Commercialization Workshop” on the same day of January 30th, from 2:00-5:00 pm., at Room 610 at Conference Tower (note: the workshop will be in English) as a representative of Japanese startup companies. 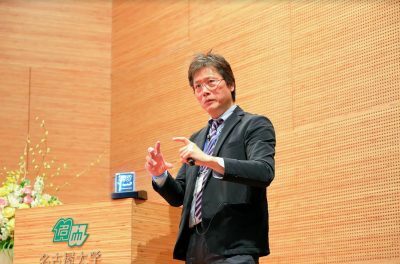 The title of Adachi’s talk will be “Development, Manufacturing, and Sales (DMS) of OLED Emission Materials” .